Updating and enhancing the performance capabilities of a truly unique building was a challenge enthusiastically accepted by Design Electronics. 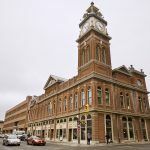 As a vital cultural and heritage landmark in the centre of Peterborough, ON’s bustling downtown core, Market Hall has been a gathering place for the city’s residents for over 120 years. 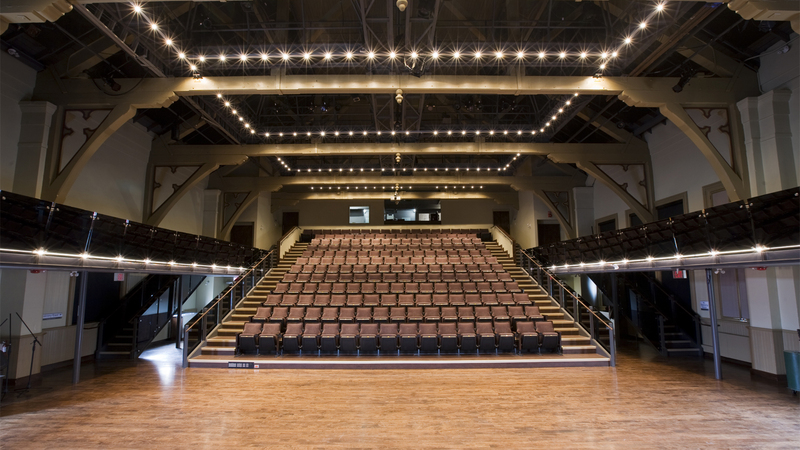 In 1984, the City decided to transform the iconic building into the Market Hall Performing Arts Centre, a multipurpose performance theatre venue designed to host a wide variety of concerts, performing arts groups, youth presentations, community fundraising events, and educational programs. 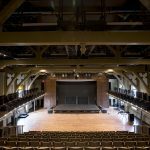 Most recently, Market Hall underwent a complete audiovisual and control system overhaul, successfully completed by the expert team at Design Electronics, who masterfully retained the historical and heritage importance of the century-old building while integrating a state-of-the-art audio and video installation. 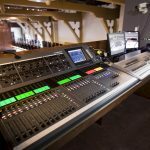 Design Electronics’ qualified and experienced audio technicians discreetly placed a series of professional JBL amplified speakers and subs at strategic locations, ensuring complete crystal-clear audio coverage throughout the entire venue. 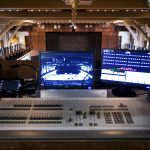 Furthermore, the team used sophisticated room modeling software and components to digitally tune and optimize the audio system, providing perfect intelligibility whether it’s a music, theatre, or public address event-taking place. 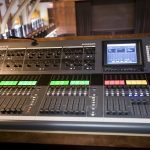 Controlled through an industry-leading Allen & Heath digital console, Market Hall is ready to welcome any world-class performer onto its historical stage. 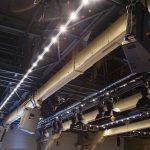 The video portion of the systems installation, completely designed and integrated by Design Electronics, involved the incorporation of multiple high-definition Panasonic cameras, large format high-definition projectors, and a 20 ft. retractable projection screen. Multiple strategically placed automated projectors add stunning visual effects and highlights to performances and presentations, offering unlimited possibilities. 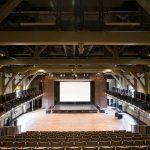 Completely networked with various touch-panel control interfaces, the central video projection screen provides an impressive compliment to any performance or presentation, or while providing an authentic cinema theatrical experience. 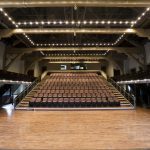 Every component that makes up the audiovisual system installed in the Market Hall Performance Centre has been specifically selected by the Design Electronics team to perfectly compliment and seamlessly interact with each other. 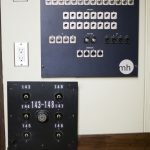 Tying the entire system together is a custom-programmed Crestron control system installed by one of our fulltime Crestron Certified technicians. 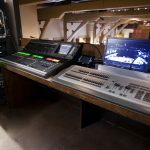 This system is responsible for several preset automated cues that not only provide self-regulated ease-of-use features, but also translate into substantial economic savings for the operation of the venue. Updating and enhancing the performance capabilities of a truly unique building was a challenge enthusiastically accepted by Design Electronics. The opportunity to implement a cutting-edge and future-proof programmed installation into a historically invaluable building while retaining the heritage aesthetic of the 120-year-old Market proved to be as fulfilling for the team at Design Electronics as it is for the countless audience members that take in the continuous schedule of world-class performers, youth groups, entertainers, and presenters that grace the Market Hall Performance Centre stage.